The ex-rector of the Academy of the Georgian Interior Ministry, ex-Minister of Education and Science. In 2014, Khatia Dekanoidze moved to Kyiv and organized CAPS (Civil and Political School) for the dissemination of the experience of Georgian reforms and the preparation of the Ukrainian leadership training. A year later, she was the main person in charge of the conduct of large-scale reform of the police in Ukraine. Dekanoidze makes things change despite the harsh criticism of opponents. The new district cops, police patrols in schools, re-certification of former police leadership. Dekanoidze has done a great job, but big problems lies ahead. 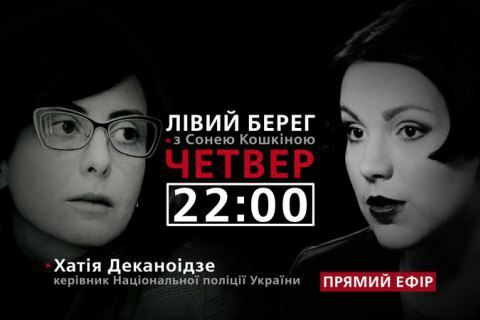 On these and many other things she would talk with Sonya Koshkina today in the Left Bank talk show on 24 channel, live at 22:00.